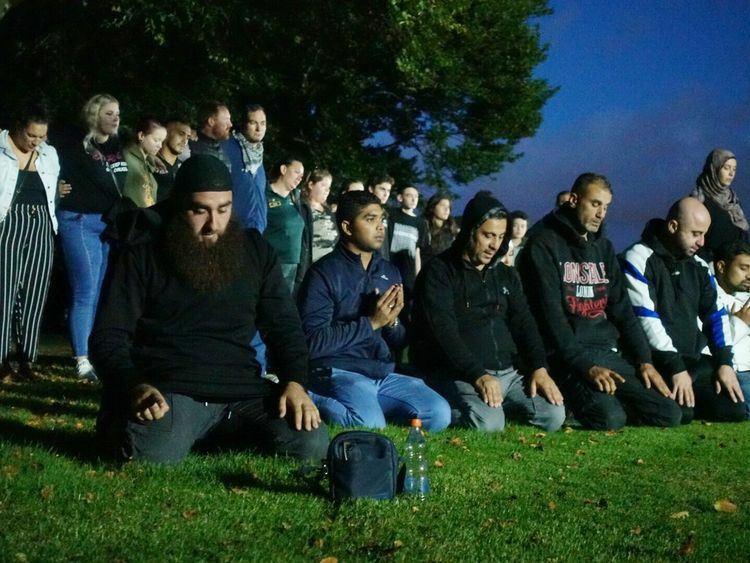 Dubai: Christchurch locals, earlier today, formed a human chain behind Muslim worshippers as they performed maghrib prayers in front of the Al Noor mosque in New Zealand. The pictures and Taylor’s tweets soon became popular as people praised how New Zealanders were standing up for everyone in the country. Some people attending the vigil also joined in to pay a tribute to the victims with a traditional haka, an ancient Maori war dance, which is a fierce display of a tribe’s pride, strength and unity. People in New Zealand are also planning to form a “human chain of love” on Friday, around all mosques in the country, to mark one week anniversary of the massacre.